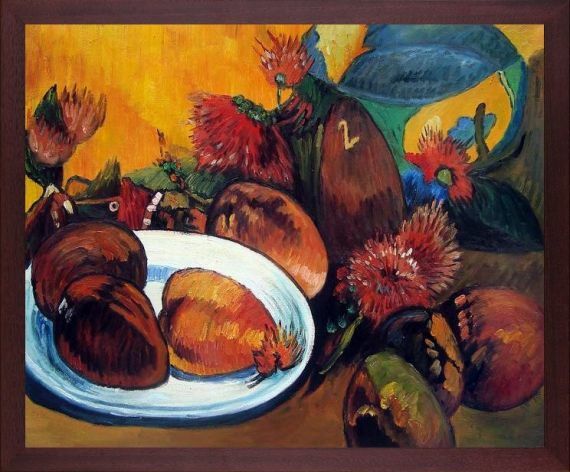 Hand painted oil reproduction of the famous Gauguin painting, Still life with Mangoes. 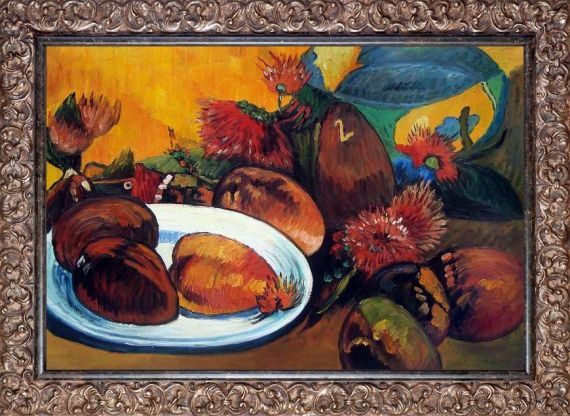 The original masterpiece was created in 1893. Today it has been carefully recreated detail-by-detail, color-by-color to near perfection. Paul Gauguin is recognized as one of modern art's most influential founding fathers. 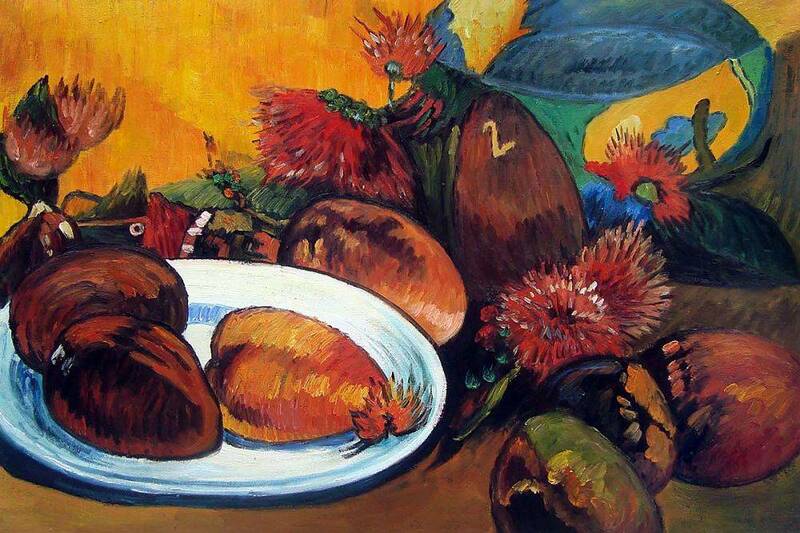 He rejected western naturalism and abstracted figures with nature as a starting point. This work of art has the same emotions and beauty as the original. Why not grace your home with this reproduced masterpiece? It is sure to bring many admirers! 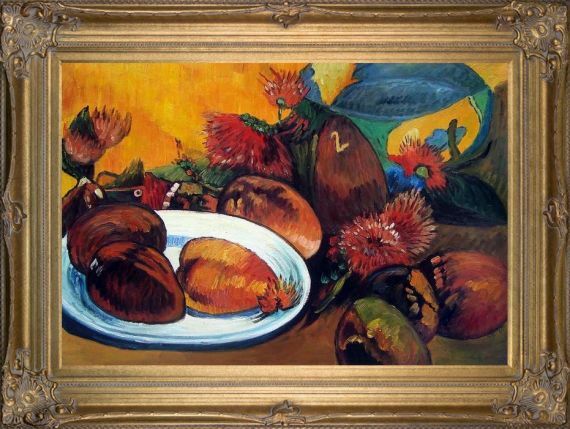 Color Palette for Still life with Mangoes, 1893 is empty.